In: Institution of Engineering and Technology -IET-: 19th European Wireless Conference 2013. 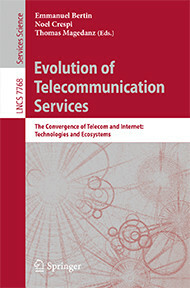 CD-ROM: Centre for Communication Systems Research (CCSR), University of Surrey, Guildford, UK, 16-18 April 2013. Berlin: VDE-Verlag, 2013, 6 pp.